At Google, we view search as a “database of intentions”; for the CPG marketer, consumer search behavior reveals different moments during which we can connect with consumers who tell us (by typing into a search box) their varying levels of interest in our products. It’s up to us to connect with our customers at these “Zero Moments of Truth” (ZMOTs) and it can be helpful to understand how these align with the “CPG search universe”, especially because most CPG marketers don’t maximize this opportunity to reach customers through search. 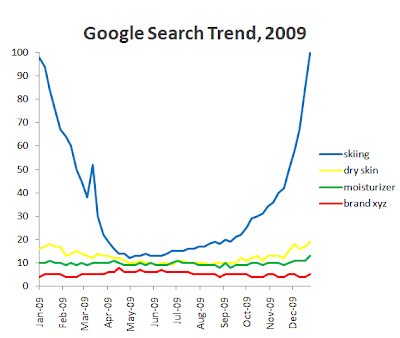 Almost all CPG marketers have search ads that appear for their “brand” terms. That’s excellent. If someone asks about your brand, you should be there to answer. But if we confine ourselves to just covering brand searches, we’re only reaching consumers who are self-identifying as being aware of our brand. We’re leaving out a big piece of the search pie. Some CPG marketers expand search coverage to Product-related searches, an intuitive extension of standard search marketing efforts. Again, this is a great step—anyone who searches for a particular company's product should get the relevant brand message. But what about the users who are showing a high likelihood of interest in a product (and thus, potentially a particular brand), but are saying so indirectly? These consumers are searching what we call Category & Association terms—searches that signal “I might be in the market for your product”, without having said just that. 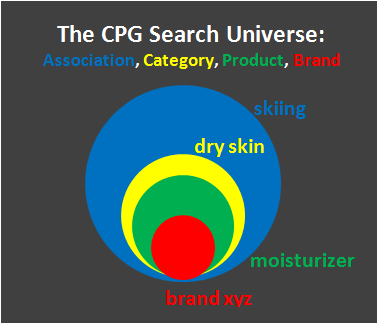 For example, below is what the “search universe” looks like (scaled to actual search audience sizes) by Association, Category, Product and Brand for a moisturizer brand advertiser. Reaching a consumer across Association and Category searches increases the opportunity to reach potential customers in multiples, and each of these connections could create a Zero Moment of Truth. Which, in turn, can grow the demand for products and brands in a particular CPG category. 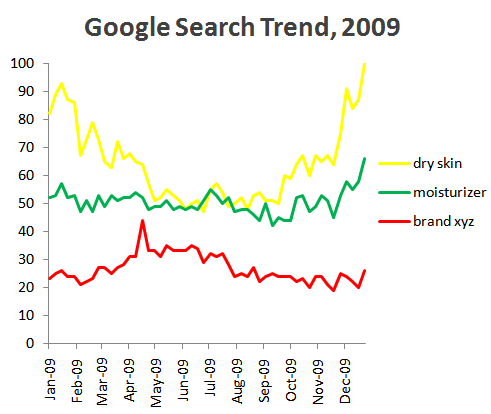 However, notice that searches for brand xyz remain nearly flat while the related searches for the Product (“moisturizer”), Category (“dry skin”) and Association (“skiing”, above) soar. It’s likely that this advertiser isn’t capitalizing on the search opportunity across these other sets, and so consumers aren’t being reached by Brand XYZ’s message, and aren’t, in turn, increasing their searches for Brand XYZ. These gaps are an opportunity for Brand XYZ to generate interest and demand in its products by creating a ZMOT through search.